The rainy spring and the hot summer have conspired to produce a bumper crop of raspberries this year at the farm. 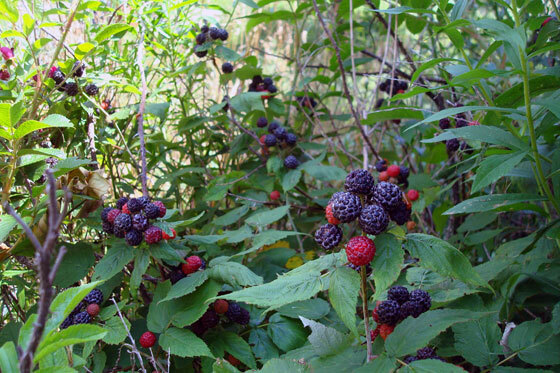 Black raspberries grow wild on the bank outside of the barn. 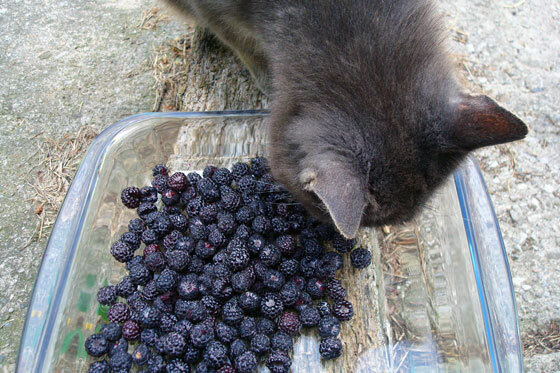 Ralph keeps a careful eye on them and performs quality control inspections during picking. 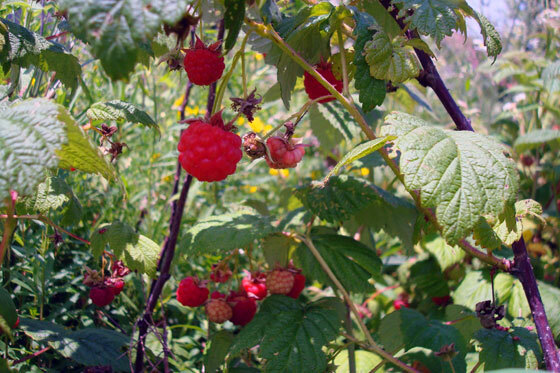 Just to the east of the barn–in the spot where I want to put the vegetable garden–is a patch of red raspberries. I’m going to try and preserve some of these canes when we dig out the garden, so we can continue with our raspberry bounty each summer. I’d love to transplant the black ones into the garden as well. 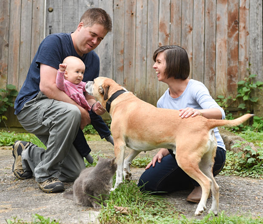 Does anyone have any idea if they would survive a move? Any tips for transplanting? The black ones are smaller, seedier and sourer than the red ones. Do you think if I watered them or fertilized them they’d plump up? Julia, Steve said as long as they are watered and the temperature is not like it was last week, they should survive. I’ve debated transplanting some of my wild canes as well. There are a lot of articles about it online, but I’ve never tried it. I will have to consult the great cyber gardener, Google. 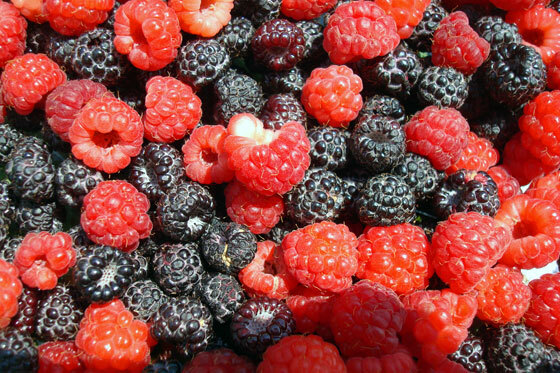 What’s the difference between black raspberries and blackberries? They look pretty similar. They do look pretty similar. The blackberries that I see in the grocery store tend to be bigger and more oval, whereas black raspberries are round like regular raspberries. Plus, I feel like blackberries have bigger seeds.